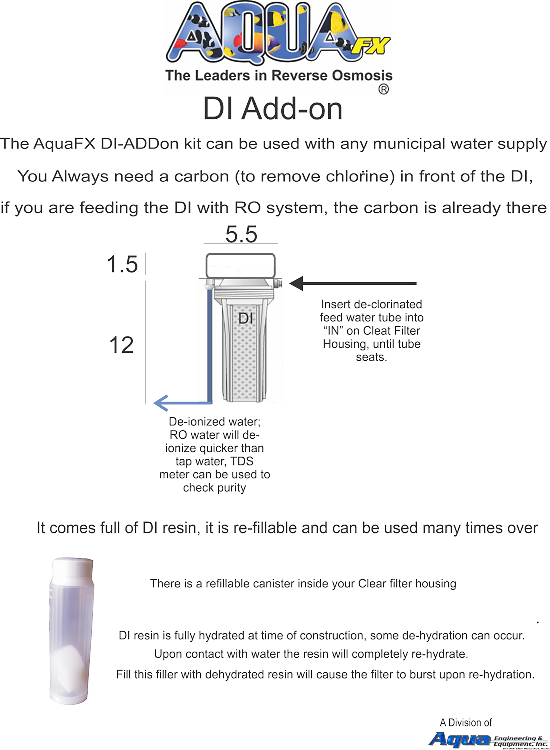 Add On a 10 X 2 inch or 20 X 2 inch DI Filter This Add On DI can be used with most RO units or used alone. 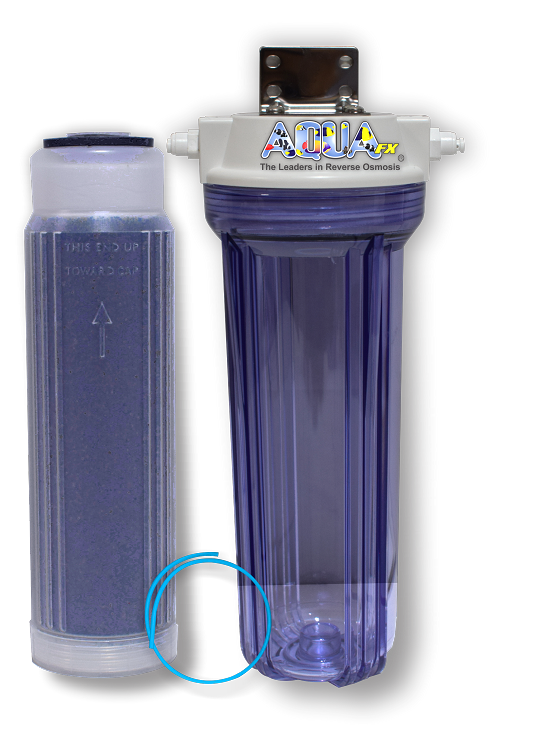 18 meg water at your fingertips! Nuclear grade, virgin, color indicating Deionization resin.